Despite being the capital of the state of California, Sacramento is only the sixth biggest city in the state. Quieter and smaller than locations like Los Angeles and San Francisco, Sacramento still has a population of over half a million people and boasts a lot of beautiful architecture and impressive monuments, both man-made and natural. The city sits at the confluence of the American River and Sacramento River, both of which are highly popular for water-based activities like kayaking. There are plenty of excellent kayaking locations for everyone to enjoy both in and around Sacramento. If you’re looking to do some kayaking in this area, check out some of the top spots below. Approximately 120 miles in length, the American River begins in the Sierra Nevada mountains and flows down through to Sacramento, where it joins up with the Sacramento River. A big player in the famous California Gold Rush of the 19th century, the American River has a lot of history behind it and is a key spot for all kinds of wildlife like trout and salmon beneath the water's surface, as well as deer, raccoons, beavers, eagles and more along its banks. Bird watching and photography can be enjoyed from the comfort of a kayak in this area, but the river also plays home to some Class 3 and Class 4 rapids for whitewater kayaking and rafting. With over a thousand miles of waterways to paddle, the Sacramento River is a genuine kayaking haven. With slow-moving waters, it's perfectly suitable for inexperienced kayakers or families with young kids, and is surrounded by all sorts of beautiful landscapes from lush hills to marshes and islands. Various lakes and state parks provide easy access to this beautiful river and it's also filled with salmon, bass, trout, and other prize species for people who are interested in kayak fishing. Sitting on the lower American River, Lake Natoma is one of the most popular lakes for kayaking in Sacrmaento County. Just a little way east of the city, the lake is a big recreational spot for locals and tourists alike, with swimming and kayaking very popular here. Various boat ramps and parking lots make it easy to get around, and there's a lot of native California wildlife here including eagles, herons, turtles, lizards, deer, and even bobcats, as well as a variety of fish. Between the American River, Sacramento River, and surrounding lakes and waterways, there are lots of terrific kayaking spots in Sacramento. Various kayaking companies have also set themselves up around the city and surrounding area. These kayaking companies offer tours, rentals, outfitting, and additional kayak services to ensure that you and your group have the best possible kayaking experiences in California’s capital. Be sure to get in contact with one or more of the following companies if you’re looking to enjoy some top quality kayaking in Sacramento. Offering kayak rentals and multiple organized kayak tours along the Sacramento River and through the city itself, Kayaking Fit can meet all your kayaking needs in California’s capital. 1-hour, 2-hour, 3-hour and 5-hour kayaking trails can be enjoyed, with shuttle services and all kayaking equipment provided by the company. Founded by Ed Lopez, a former US Army Paratrooper, this company provides a warm welcome and great kayaking guidance to all customers. 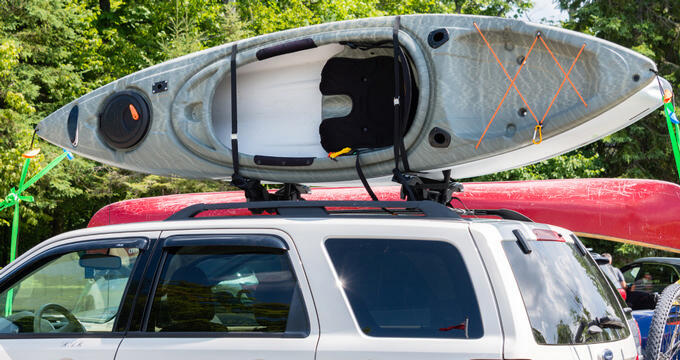 For almost any kind of kayaking service imaginable, head on down to California Canoe & Kayak. Offering kayak sales, rentals, classes, and tours, this Sacramento company has been a leading light in the paddlesports world since 1972. Located at the beautiful Lake Natoma, California Canoe & Kayak runs a wide array of tours and lessons, with some classes designed especially for kids and newbies, as well as special kayaking and paddleboard events throughout the year.